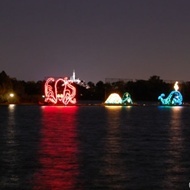 Florida is home to Orlando and Disney World. Florida is the magical place where dreams come true for both young and old. Visited by millions of tourists each year Orlando is a land literally ruled by a mouse. 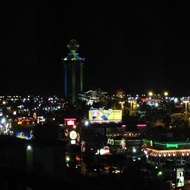 It has 8 major theme parks loved by the whole world, 100's of hotels, apartments and villas and hundreds of restaurants with any type of food you can imagine from around the world. There's something different to do every hour. International Drive provides convenient access for visitors to the Orlando area with world famous attractions, entertainment, dining and shopping providing fun for the entire family! Orlando's world-famous attractions Universal Studios, Islands of Adventure, SeaWorld Orlando, Discovery Cove and Wet'n Wild are all a short distance away. Located on International Drive are other attractions and entertainment such as Pointe Orlando, The Mercado Marketplace, WonderWorks, Ripley's Believe It Or Not and Dolly Parton's Dixie Stampede. There are footpaths on either side all the way down International Drive great for a nice day out strolling. If walking isn't your favourite, try the I-Ride Trolley which operates a shuttle service from 8am to midnight. By using the convenient I-Ride Trolley service you can sit back and ride up and down the miles of fun that make up International Drive. This wonderful cheap amenity takes the parking and driving hassles out of your vacation. We offer hotel packages around International Drive at very cheap prices and set to your needs. Fill in one of our Enquire now forms for an instant quote for great package holidays. 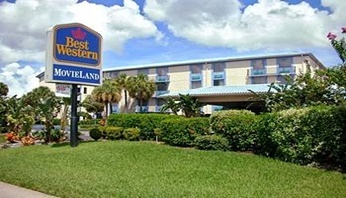 Hotels Orlando - BEST WESTERN MOVIELAND! Hotels Orlando - BEST WESTERN LAKESIDE! 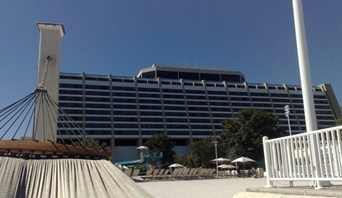 Hotels Orlando - CONTEMPORARY RESORT! 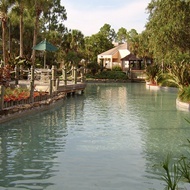 Hotels Orlando - CYPRESS POINTE RESORT! 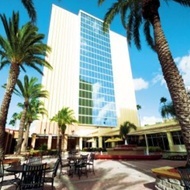 Hotels Orlando - DOUBLETREE UNIVERSAL! 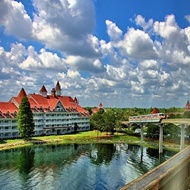 Hotels Orlando - GRAND FLORIDAN RESORT! Hotels Orlando - INTERNATIONAL PLAZA RESORT! Hotels Orlando - POLYNESIAN RESORT! Hotels Orlando - WYNDHAM RESORT! Kissimmee and Lake Buena Vista are extremely popular for families wishing to discover every attraction Orlando has to offer. Both places are perfectly located for all the major parks including Walt Disney World, Universal Studios and Sea World, Magic Kingdom, Animal Kingdom. Kissimmee has a relaxing atmosphere yet still provides plenty of facilities, including shops, restaurants and bars, and is close to Walt Disney World Resort. Kissimmee's 20-mile-long main street leads to the main entrance of Walt Disney World and other popular attractions. The Old Town shopping mall has the historic atmosphere of small American town, with wood fronted stores and tree lined sidewalks. 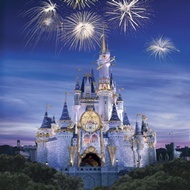 There are several places local to Kissimmee where the whole family can enjoy an exciting dinner show, including Arabian Nights, Medieval Times, Capone's and Downtown Disney. 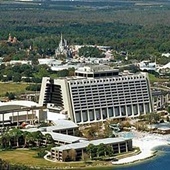 Lake Buena Vista mostly known by holiday makers as the home to the Walt Disney World Resort guarantees the perfect place for families wishing to experience everything Disney has to offer. Location wise your just a short drive away from all of the parks and attractions in Orlando and International Drive. Stay in some of the most popular Disney resorts like the Grand Floridian Resort & Spa the flagship hotel of Disney or the Polynesian Resort and enjoy your very own exotic South Seas hideaway. Enjoy the parks and attractions or just relax in the sun!! Fill in one of our Enquire now forms for an instant quote for great package holidays.